, for your support of the Jefferson’s Civic Leadership Academy, Jefferson Dinner Series, and Jefferson Essays! 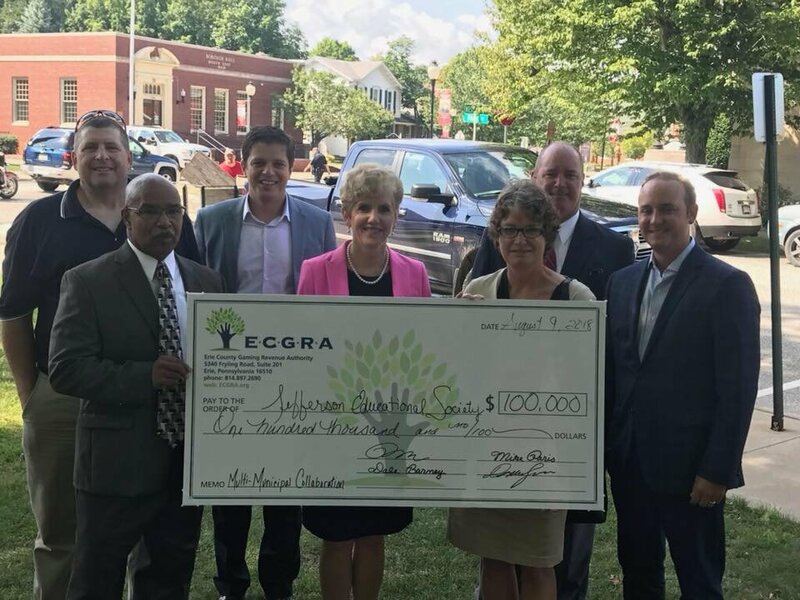 Because of ECGRA’s impact investing, we are excited to continue these vital initiatives for Erie County and are proud to continue our work with Erie municipalities in the spirit of collaboration! Thank you, ECGRA - Erie County Gaming Revenue Authority, for your support of the Jefferson’s Civic Leadership Academy, Jefferson Dinner Series, and Jefferson Essays!